For a lot of smaller productions, typically documentary makers, their projects will shoot with smaller format cameras such as DSLR or small hand-held cameras like the Panasonic AJ-PX270 or Canon XF305. All these cameras can produce stunning quality pictures and produce relatively small files for storing and editing with. This means these productions could work with rushes in their 'Native' format removing the need to carry out a more complex offline and online conform and can help streamline the editing process and more importantly save money and time. This approach still needs some planning as you need to ensure camera rushes are presented in similar, if not identical formats (raster size, framerate and colour space). This can still be challenging, especially when some productions have little experience and may have little technical understanding of camera equipment and formats. So what can we, as assistants, do to ensure the project runs smoothly and can be edited in its native form? Let your work, flow and don't put costly hurdles in your own way. Check with the production which cameras they are shooting with. Just knowing the camera model will start to help build a picture of what type of media you could expect to handle. If they are shooting with a Canon 7D then you will be receiving H.264 QuickTime files. But if they are shooting with the Panasonic AJ-PX270 then you could receive a number of different formats depending on how the camera is a setup. 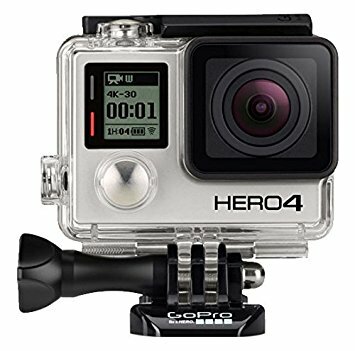 Productions may use multiple cameras such as GoPro or even a second camera such as an iPhone. Ask what they use. We should also ask what format they intend to shoot with. For example, they may intend to shoot 1920x1080 25P with their Canon 7D, so we need to try and ensure that the GoPro and iPhone have at the very least the same frame rate of 25 frames per second to marry in with the main camera. When using cameras with variable codecs such as the Panasonic P2 cameras the Codec should be established, for example, AVC Intra 100. If the production intends to use external crews make sure they have an understanding of the frame rate and codecs they need to shoot in. There's nothing more frustrating as having great images in the wrong frame rate that may make them useless for your project. Make up a quick check sheet which can be emailed out to camera people and producers to help ensure there are no hiccups. Avid can work with pretty much any format, but the time ingesting this content into a project will vary depending upon a number of factors. Camera Codec: Some camera codecs are supported directly within Media Composer, for example, AVC Intra 100. This means that material can be fast-tracked into Avid by linking to the camera rushes and then consolidating it to your media drives. But some codecs, such as Quicktime with H.264 codec as used with DSLR cameras, isn't natively supported and so will need to be converted into a supported Avid format. In the case of DSLR material, this can be linked to and then Transcode (convert) it into an Avid supported codec such as DNX120 or even AVC Intra 100. Media Composer / AMA Version: The version of Media Composer or the AMA plugin used with your camera may also be a factor in getting content into your system. If your Media Composer or AMA plugin is too old you may not be able to get the latest cameras codec into the system. Check the cameras age and codec to ensure your Media Composer version supports it BEFORE shooting an entire series! If in doubt make some test footage and ingest it to ensure it works. CPU speed/workstation specifications: The speed in which camera footage is imported is related to the speed of the drives you are using (see next section) and speed of the workstation you are using. If you only have a low spec 4 core CPU and 8GB of RAM your machine will not function as well as a dual 8 core CPU with 16GB of RAM. It's important to know what you editing codec is going to be as this will dictate the overall capacity you will need to store your project's material. You will also need to understand what type of connector you will be using to ensure you have enough speed for the codec to move freely between the storage and workstation. 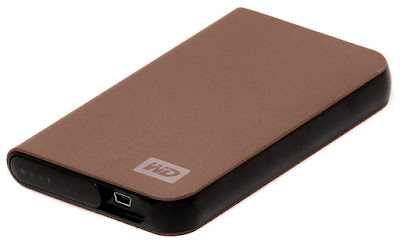 As a rule of thumb, most prosumer codecs will be sub 100Mbs and so a USB3.0 pocket drive would be up to the job (at a push even USB 2.0 is possible.) 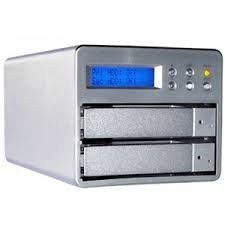 However, RAID protected drives have a place here as they would help safeguard against any drive failure. Look for RAID 1 or RAID 5 units for editing with. In some cases, the storage will be dictated by what is already to hand with the edit suite. Consider RAID arrays for editing with to protect content. Native workflows have fast become the 'norm' for smaller productions, especially documentary and as an Avid Assistant starting out you will work on this style of a project a lot. This workflow is an effective way of allowing a production to take a project from conception to a finished product in very few steps. This does, however, need content to be acquired in a uniform fashion and the footage is known to work with the intended edit suite. If in doubt of the camera codec, carry out tests with the Media Composer system that is intended for use.